Honor 9N comes with Notch Display, Dual Rear Camera, Honor 7X has Dual Rear Camera also same Kirin 659 processor. Check out Price, Specs, Features full comparsion between Honor 9N and Honor 7X. Both Phones have Fingerprint Scanner on the Rear. 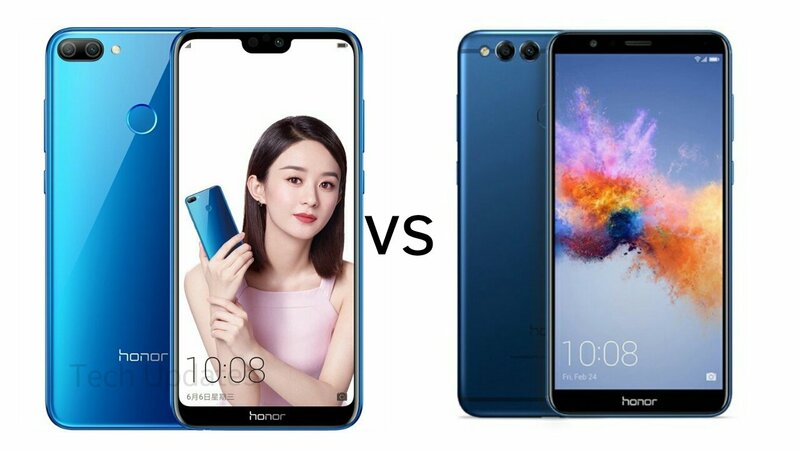 Honor 9N has a 5.84-inch (1080 x 2280 pixels) Full HD+ 19: 9 aspect ratio display whereas Honor 7X has 5.93-inch (2160 x 1080 pixels) Full HD+ 18:9 2.5D curved glass display. Both Phones are powered by Octa-Core Kirin 659 processor with MaliT830-MP2 GPU.